As people age, they become less likely to participate in identifiable forms of learning. This is a very long established pattern. However, it does not necessarily mean that there is less learning going on. People may be learning independently, outside educational institutions and agencies in ways which are not recorded by normal data collection systems. NIACE has tried to counteract this problem in its annual survey of adult learning, by asking people about “learning” rather than “courses”, and offering them a very broad definition. The honest answer is that we simply do not know how much learning (in the broad sense) goes on, and some statistical systems, like the Labour Force Survey have traditionally not asked questions about learning to people over state pension age. As life expectancy extends, and people are active, and often employed, much later in life, it becomes more important to understand what is really going on, and we have carried out a number of studies to investigate this. 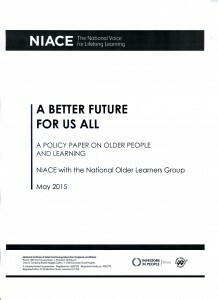 A Better Future For Us All – is a third policy paper, produced by NIACE with the National Older Learners Group in 2015. It builds on the two previous NOLG policy papers. 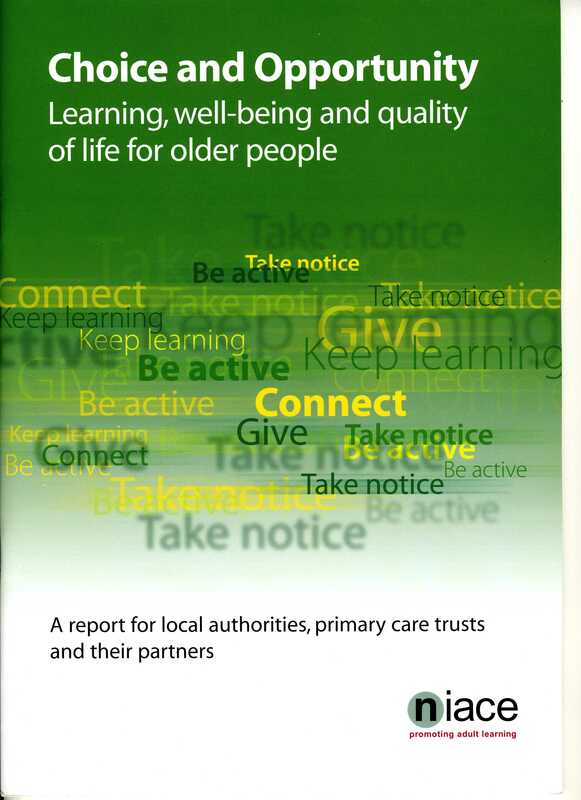 It outlines the case for investment in older people’s learning, identifies weaknesses in what is currently available, and proposes solutions in the context of a new political climate. 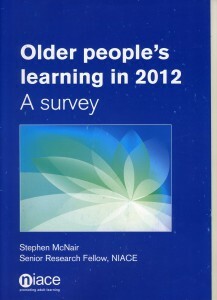 Older people’s learning (2012). Since the early 1990s, NIACE has conducted an annual survey of adult learning, to monitor how patterns of participation are changing. 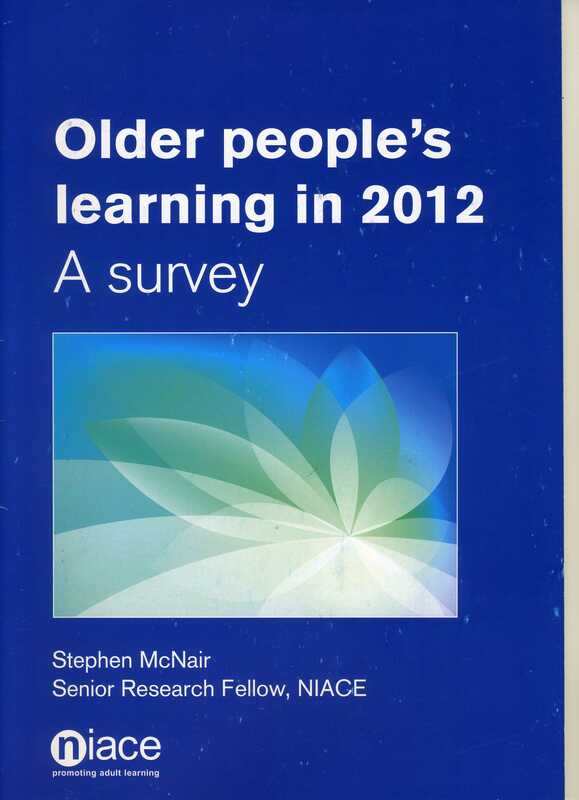 On two occasions (2006 and 2012) this survey was enhanced to examine the learning of people over 50 in more detail. In addition to the full report (link above) there is also a short summary . Age and learning in a post capitalist world (2009) – an unpublished paper on rethinking learning and work across the lifecourse, in the light of the economic crisis. 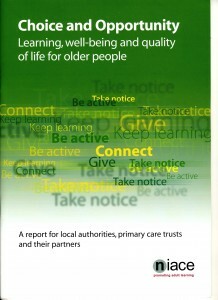 Choice and Opportunity: learning, well-being and quality of life for older people (2009) – a second NIACE policy paper, describes the ways in which older people’s learning benefits individuals and society at large, and presents a framework for analysing the adequacy of learning opportunities in a local area. 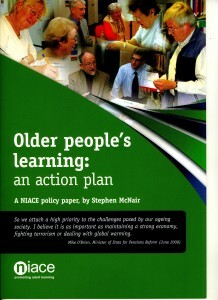 Older People’s Learning: an action plan (2006) – was NIACE’s first policy paper on older people’s learning, produced with the National Older Learners Group. 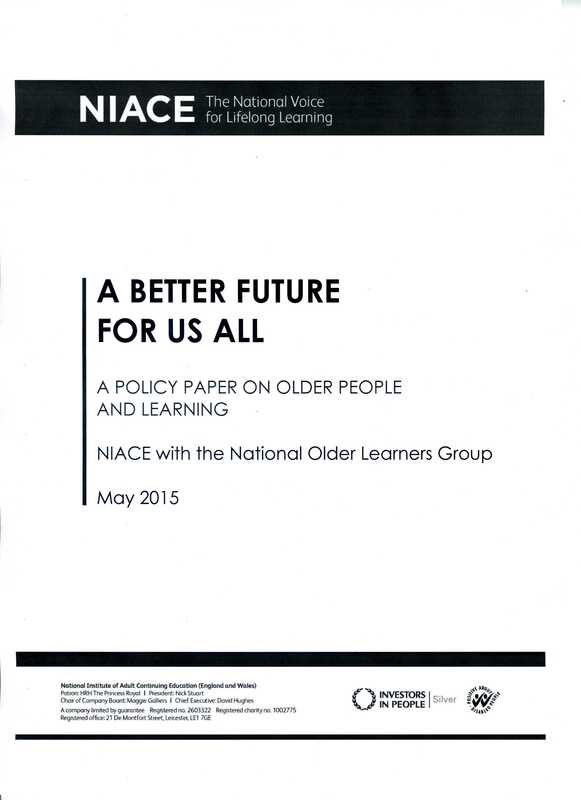 It presents the arguments for investment in older people’s learning and makes policy proposals.